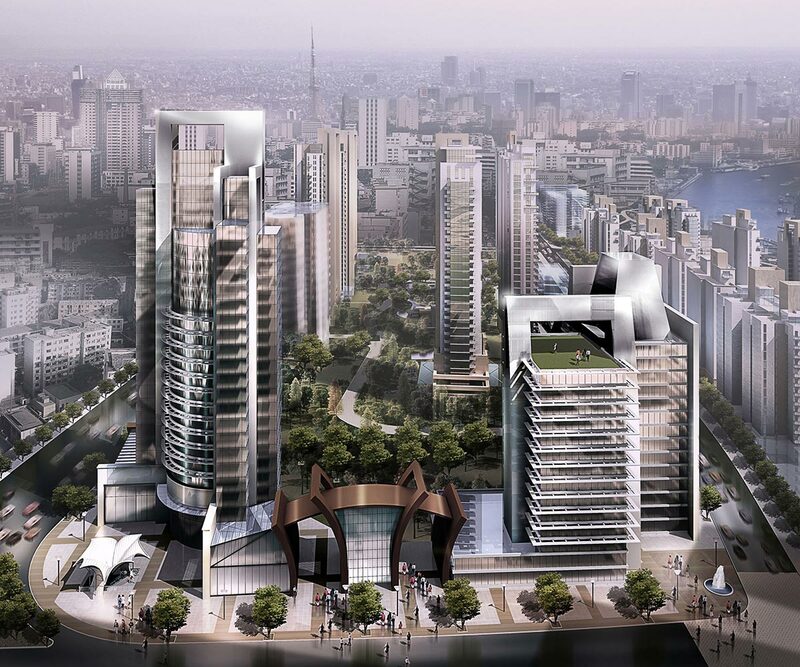 This proposed new development is a mixed-use project along the Huan-Pu River in Shanghai. The community incorporates a mix of residential, retail, and recreation facilities. Culture, art, luxury, and sophistication are themes distinguishing this development from other projects in the vicinity. The residential buildings will incorporate luxurious design making the community the most sought after in the area. The high-end residential towers will be carefully oriented to maximize views to the river, natural sunlight, and semi-private outdoor spaces. The project has outdoor spaces designed to accommodate outdoor performances, sculpture gardens, places for relaxation, exercise, and activity. Residents and visitors alike will enjoy strolling on the promenade and shopping in the various high-end boutiques, dining in the restaurants and cafes, attending performances and art exhibits, or relax in nature in the ‘Big Park’. Sustainable design will play a key role in this project, with careful consideration and attention to detail being given to Eco-friendly materials and sustainable development principles.